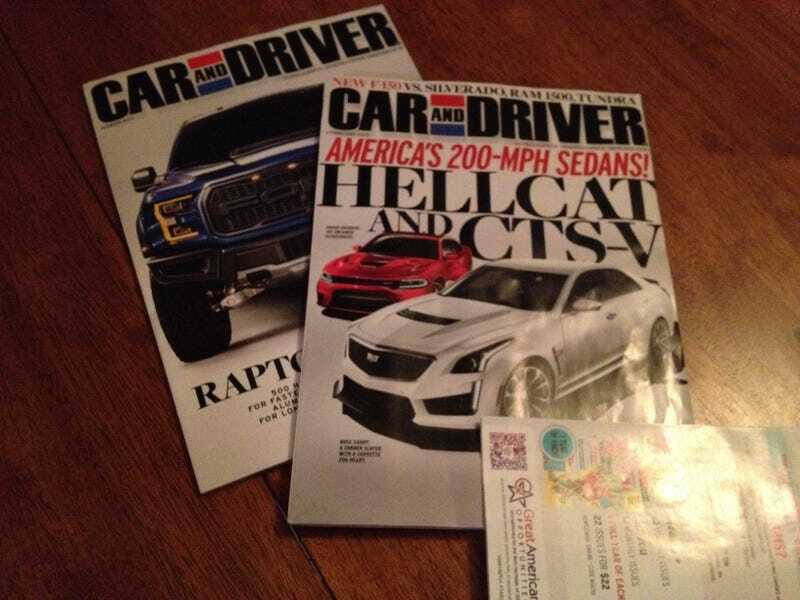 ...With a year's subscription to Car and Driver magazine. I believe she has been saving up points from the cereal boxes. And I'm not the only one liking the magazine, so does my almost 2 yrs old daughter! I sat in a chair to look at it, and ztp jr was very insistent she sit on my lap. She really liked the pics, as she kept saying "oh!" and "vroom!" while pointing at them. She totally loved the Cadillac CTS-V, it instantly grabbed her attention. And she really enjoyed the article about the tundra, ram, f150, and Silverado. I asked which was her favorite, and she pointed at the f150 and Silverado.